Play is important for all children, essential in fact. But do we know why? What might it mean if a child doesn’t find it easy to play? Or we don’t know how to play with our child? Sarah Holton, Children and Young People’s Officer shares her thoughts. 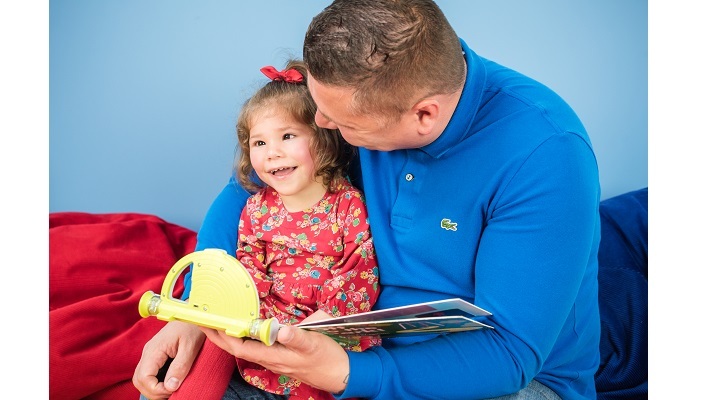 There is extensive research into child development and the importance and impact of play on all aspects of a child’s progress, including their ability to understand their world, the people in it and themselves. Through play we can create circumstances and experiences that might never be had in “real-life”, but nevertheless contribute to an overall world view. I think of my own children’s attempts to parachute Sylvanian Family hedgehogs from our landing and then the elaborate remote-control ambulance rescue that followed to pick up all of the “broked legs”. Some things are best learnt in play without the need for the real-life experience (I hope). As well as learning through play, Professor Tina Bruce would ask us to consider an alternative perspective: play enables a child to practice what they have already learnt. Play gives children a chance to understand their relationships, thoughts and feelings, and to use newly acquired physical and cognitive skills under their own volition and control. Playing together, and enjoying objects and activities in relation with other people, is also a key aspect of social development. So what does this mean for a child with vision impairment (VI)? A child with VI will need support to access the life experiences and learning that a sighted child gains through their vision, often incidentally. We don’t necessarily have to teach sighted children what the sky is like, because we point to it and talk about what we see. In play, a sighted child will be stimulated by vision and motivated to encounter objects and people around them, to explore these things and build experiences, real or imaginary, as a result. Despite a possible difficulty in motivation or self-initiated play, this process is just as important for a child with VI. We just might need to think differently about how to get it going and get it really right. Why did we write a play guide? A three-year old is likely to be more of an expert on play than we are, and we should take their lead. However, parents ask us all the time about toys for their children, about how to help them play, and we want to provide this support. Until 2010, we produced an annual Toy Catalogue, listing toys that had been picked by parents and specialist teachers as interesting, stimulating and fun for children with VI. When Karen Newell was given this catalogue, shortly after her son’s diagnosis with a severe vision impairment, it was the first thing that was about having fun, about making him smile. Amongst information leaflets, referrals, appointments and eye drops, tests and operations, perhaps something about toys and play brought it back to being a Mum. About how they were going to grow and learn together, and rebuild a bit of the confidence that can be snatched at diagnosis. When Karen approached us last year asking if she, and her friend and colleague Rebecca (herself partially-sighted), could work with us to reincarnate the Toy Catalogue, we were delighted. The result is ‘Let’s Play!’, a play guide which not only contains listings of suitable toys and how to choose them, but also extensive guidance about play spaces, experiences, styles and choices. ‘The Duckiness of Ducks’ a term coined by Professor Mike McLinden, refers to the way the world is represented through toys, and how phenomenally unhelpful some of these representations might be for a child with vision impairment. There is very little about a rubber duck that resembles a real duck. Play of course doesn’t always need to be real-life – quite the opposite – fantasy, imagination and abstract are part of the fun. But if you are trying to make representations of real-life objects, the plastic, bright yellow, rigid and rubbery nature of a rubber duck is perhaps a bit of a stretch from its feathery, flappy and squishy pond-dwelling equivalent. For more ideas about getting multi-sensory representations right, you can read the full guide by following the link below. Learn more about how to encourage socializing and play with Insight Online, our online magazine for education professionals who support children and young people with vision impairment. Find more research about children and young people and education in our Research Reports section.